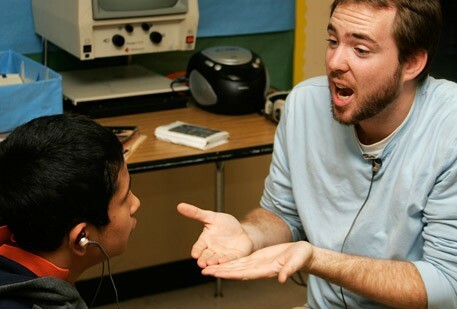 Housed in the Division of Deaf Studies and Professional Studies, Western Oregon University's Regional Resource Center on Deafness prepares professionals in the Northwest to become qualified to serve the unique communication, rehabilitation, and educational needs of deaf and hard of hearing children and adults. 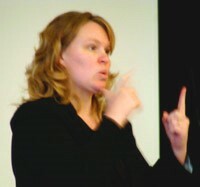 WOU's ASL/English Interpreting Program shared a photo. Interpreting requires us to understand languages, cultures, people, communication, systems, among a million other things. We know that initial training isn't sufficient in time or scope to be fully equipped to work independently! We offer programs to support your entry to the field to increase the quality of work as well as increase longevity in the field! And WE WANT YOU!!! We know that committing to a full graduate degree and work full-time is sometimes a daunting commitment and/or it isn't the right time. No worries, we have designed graduate certificates that can be taken part-time and convert easily to CEUs for certification maintenance. We guide you through increasing your skills and abilities in various areas - click buff.ly/2UuKey3 to learn more about the certificates we currently offer. Cheryln Elisabeth McCary shares her experience with the ASL Major at WOU and why she loves it so much. To prepare professionals to provide unique communication, rehabilitation, and educational services to individuals with disabilities or special needs. The Division promotes respect and sensitivity for others in order to enhance the quality of life for all.